There was no bang or sparks or smoke, I switched the Warco WM240B lathe off and it just would not restart. I did all of the usual things of checking that there was power at the main plug and that the fuse was intact and all was fine. 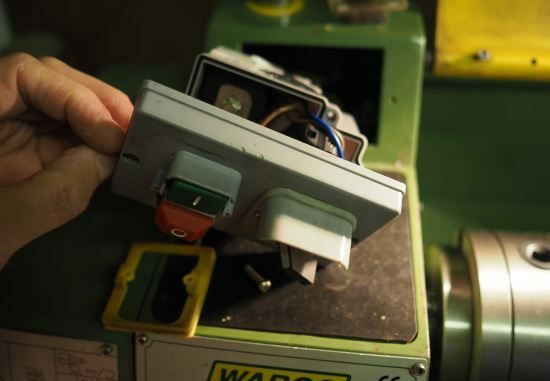 One thing I didn’t try was to switch it on, holding the green button in and then rotating the chuck to see if it would then rotate – as someone later pointed out the capacitors on the motors have a tendency to fail. I then unplugged the lathe and pulled the main switch panel off to see if there was any visible damage or another fuse that might have failed. The main on/off switch is not just a simple NVR switch that I’m used to. A lot more wires coming from switches that are there to protect the user. 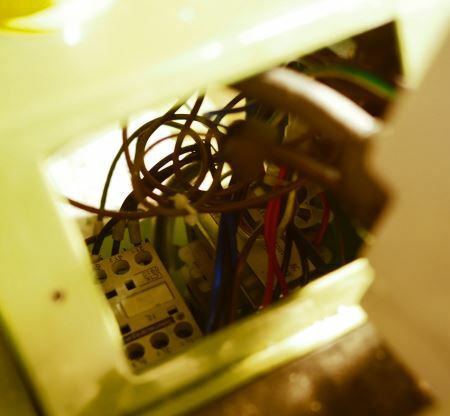 This is demonstrated by the rats nest of wires that are behind this panel. I must admit that the wiring was ok, but just ok, nothing special. 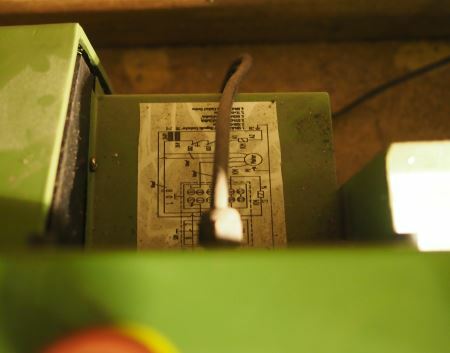 Time to look on the internet and see what I can find as the wiring diagrams with the machine are not great. 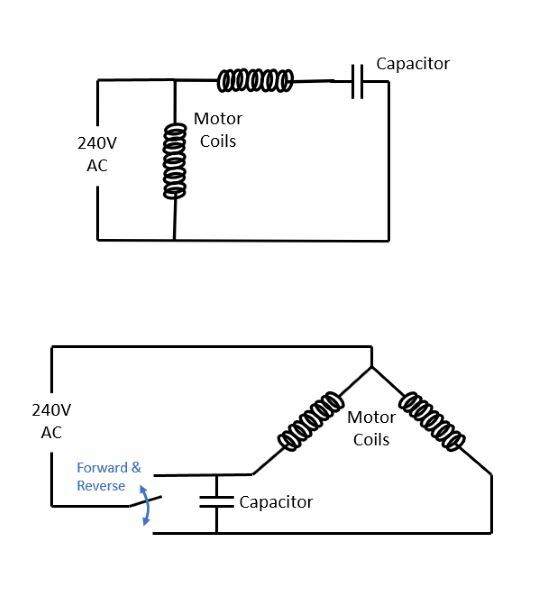 The top diagram is the simplest to understand and shows the primary motor coil across the 240V supply, the starter coil has a capacitor in series and then across the main supply in parallel with the main coil. The second diagram shows a simple version with the arrangement to achieve forward and reverse. I must admit that I’ve deleted the reverse switch from my setup as I’ve never used it in all of the time I’ve used a lathe – around 40 years. In the Warco WM240B there is a cable from the motor that has: Brown wire, Blue wire, Earth wire, Black L1 wire and Black L2 wire. To achieve the connection with the motor running in the forward direction I wired the Brown and Black L1 wire to +ve and the Blue and Black L2 wire to -ve. Remember to also make the earth connection. Note: you need to check the wires and connections as colours and notations may change. I cannot be held responsible for your own wiring and you need any wiring checked by a competent electrician. The result is a very simple on/off NVR switch. I’ve closed off the hole where the emergency off switch was located with a bolt and two large penny washers. 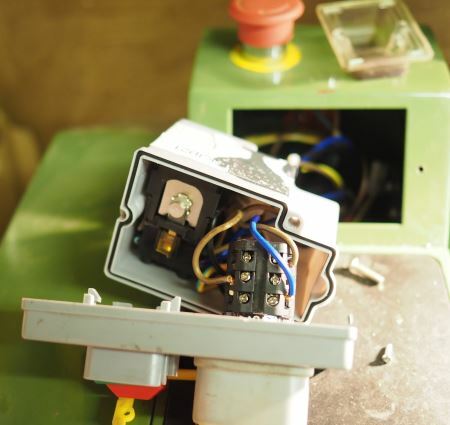 The lathe with the switch looks rather good, I think the emergency off switch is more visible and usable than the original design. 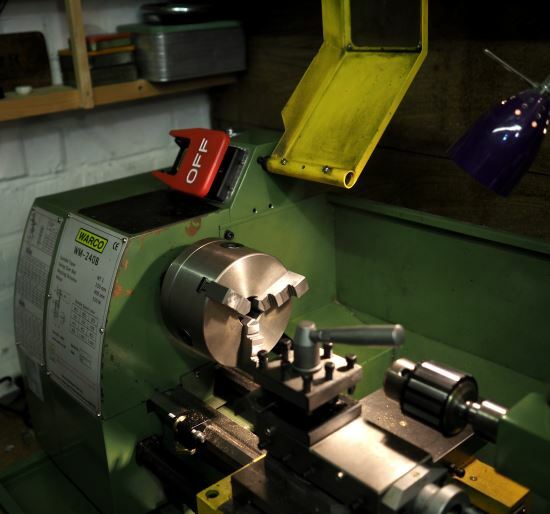 With this I have removed the interlock switches on the belt cover and the chuck guard – personally I get on fine with this as I’ve lived with older lathes and this type of single switch for years. Also, I’m never quite that happy with relying on interlocks in my own workshop.